Autism, or autism spectrum disorder (ASD), is a developmental disorder characterized by difficulties with social interactions and communication including, among others, poor eye contact, repeating of phrases or words, delayed speech or no speech. In addition, patterns of behavior that are notable include, as examples, repetitive movements such as rocking or handshaking, sensitivity to light sound or touch, difficulty in body movement. Autism spectrum disorder is considered to be a very common neurodevelopmental disorder, as it impacts 1% of the world population. According to the Centers for Disease Control, autism affects an estimated 1 in 59 children in the United States today. Further, It is estimated that 3.5 million Americans live with an ASD. This disorder does not have one single known cause. 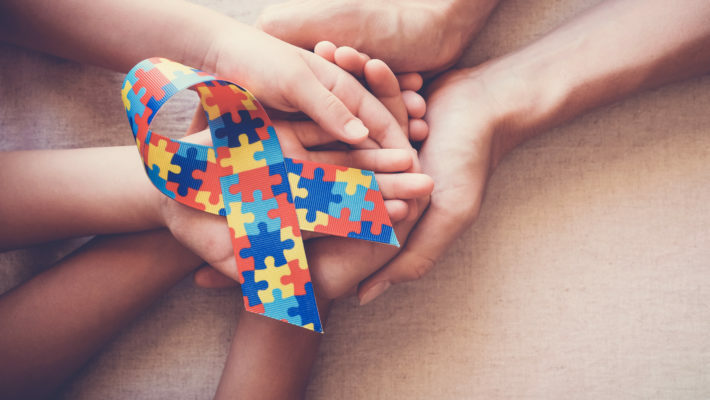 Many causes of autism have been proposed and experts believe a combination of genetic and environmental factors are involved. Indicators of autism usually appear by age 2 or 3 but can be diagnosed as early as 18 months old. ASD is far more common in boys than girls. For every four boys diagnosed, only one girl will be diagnosed. Experts agree that early interventions such as speech therapy and behavioral intervention leads to better outcomes later in life. If you have any concerns about the development, health, or well-being of your child, they should be addressed with your healthcare provider for further evaluation.